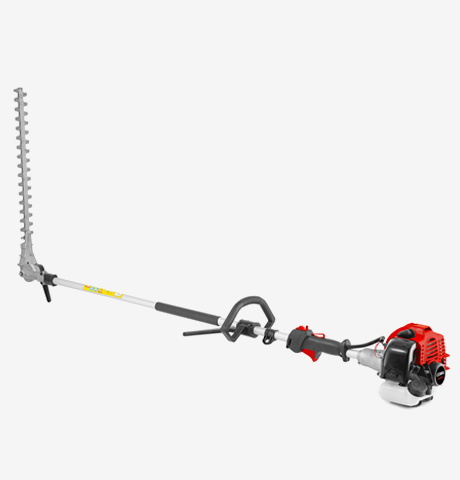 The Cobra LRH40E 500w long reach hedgetrimmer is built to tackle the most awkward jobs. 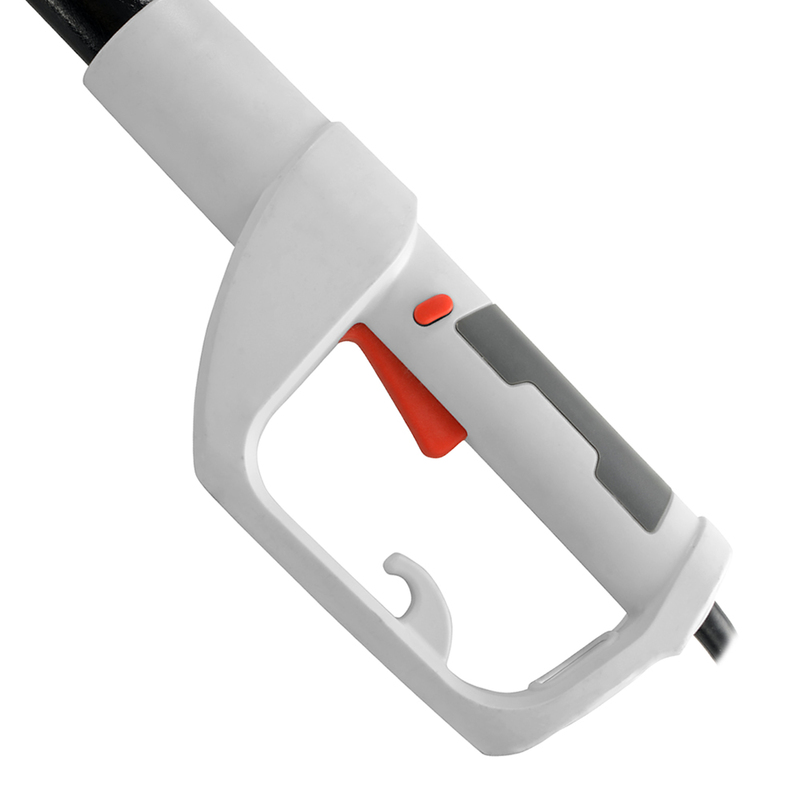 With an articulating head & tooth spacing of 20mm, the LRH40E will make light work of long and tall hedges. 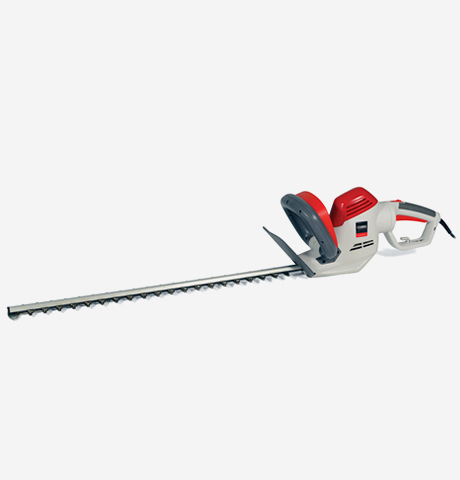 › Blade Length: 40cm / 16"
lightweight, powerful, easy to use garden power tools. 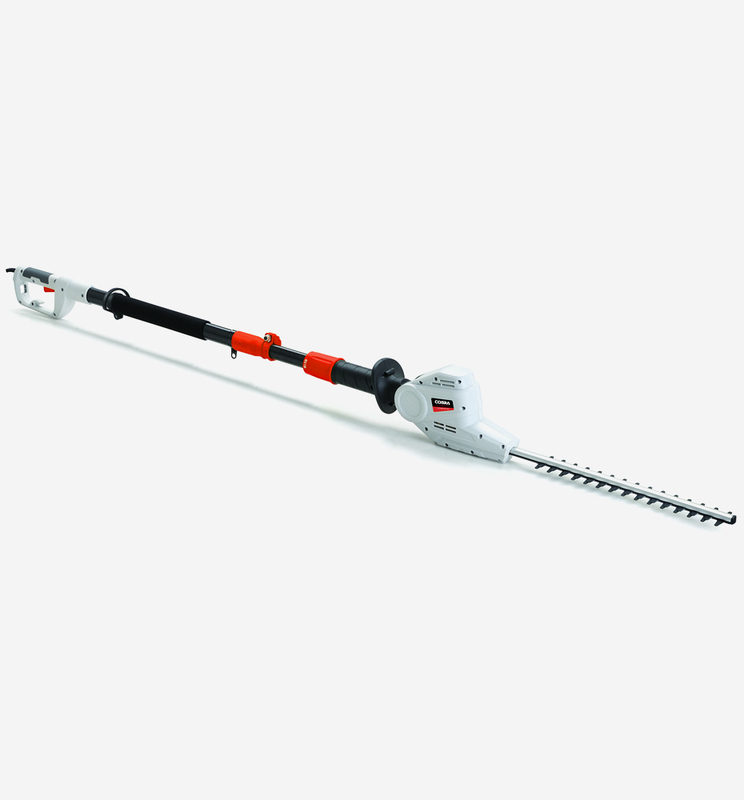 The LRH40E long reach hedgecutter comes with a 40cm double sided reciprocating cutting blade, with a large 20mm tooth spacing. 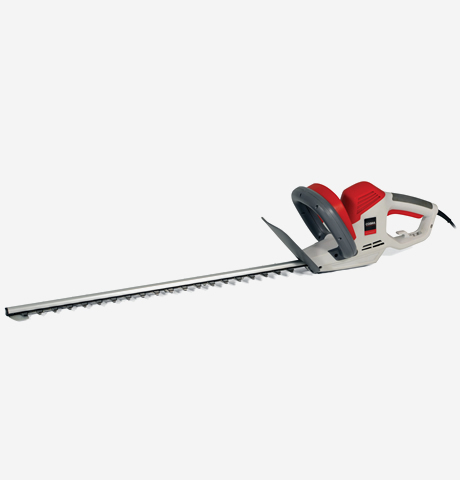 hedgecutter is perfect for domestic gardens. 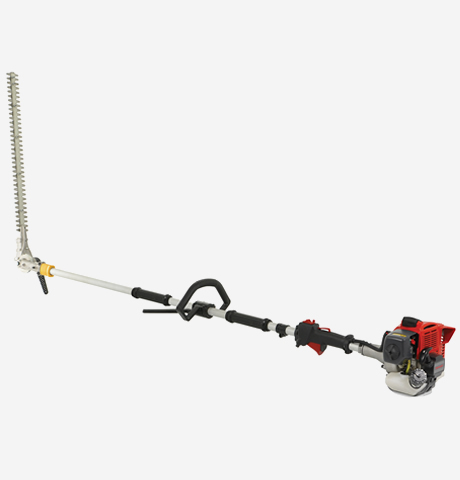 The Cobra LRH40E long reach hedgecutter comes equipped with a 39cm blade which articulates through 90°, giving greater versatility when cutting and trimming your hedges. By simply pressing and holding the button on the top of the machine the head is released and can be adjusted to suit whichever cutting angle you wish to use. Release the button and the head locks into place. Ideal when tackling tall hedges. 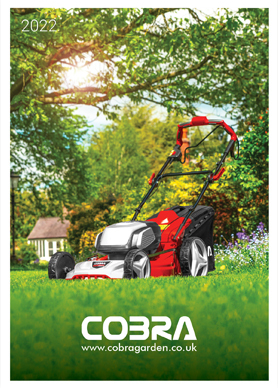 The Cobra LRH40E has been designed to make cutting your hedges and bushes a simple and effortless task. The ergonomically positioned controls not only make operator use more comfortable, but more importantly, make using Cobra hedgecutters as safe as possible. create the perfect garden with minimum effort. 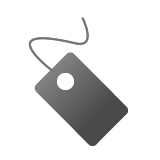 10m Cable length for longer working distance. 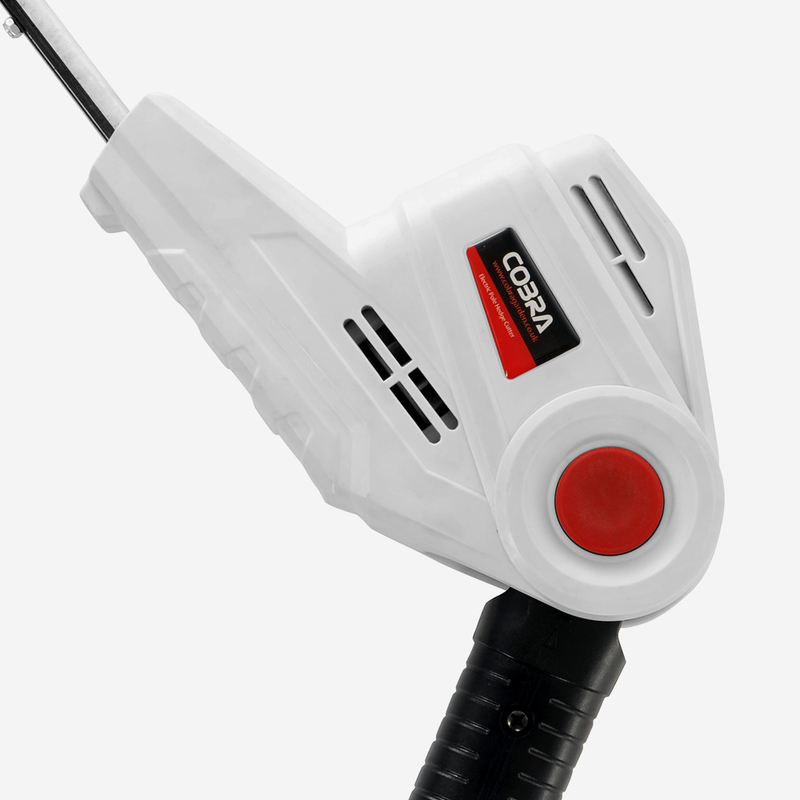 The Cobra LRH40E comes complete with an impressive 10m cable to ensure that you can reach all corners of your garden without the need for extra help. Powerful 500w electric motor for tackling all tasks. Driven by it's powerful 500w motor, the Cobra LRH40E long reach hedgecutter makes short work of domestic tasks. The 500w motor enables the LRH40E to effortlessly cut through foliage thanks to it's strong cutting performance and incredible blade speed. Cobra puts the power in your hands.